I have been playing small with everything in my life for months now. I thought a contributing factor was the accident, but it was going on before that. It certainly didn’t help matters. Maybe I started then to doubt my purpose. Is that why the accident happened? To challenge how much I value the life I worked so hard to achieve? Who knows. What I can tell you is that even months before the accident, I was coasting. I was “playing” life instead of achieving it. I was inconsistent with almost everything in my life except for a few aspects. Pilates and paddling were consistent. I just read the last section of Daring Greatly by Brene Brown, and if you haven’t heard of her check her out. Her books not only changed my business, but also changed my life. As I was reading the last ten pages of a book I all but finished almost three years ago, several epiphanies occurred. The one constant in my life is my family. It is not necessarily my blood kin, as mentioned before I do not really distinguish between them anymore. One person in particular I think has been waiting for me to snap. I don’t mean snap as in implode into a ball of goo. I mean snap back into my true self. Snap back into vulnerability and action. Snap back into being seen again. I wrote two essays recently, one about stepping back into my true self via paddling. The other explaining how hard and simultaneously awesome my life is. I used to pretend it was roses, sunshine, and butterflies. At times it was certainly like that, and I realized it was true when I was being vulnerable and being willing to fail. I was out of integrity by continuing to tell the story of how my life was everything I wanted. Integrity is one of my core values. It’s one of the reasons why I broke my co-dependency and moved. I felt like a fraud. By telling the real story, the good, bad, and the painful I was taking another step towards being my true self again. It was hard to hit the publish button, and to let people see the struggles of my real life. It was brave and courageous. It was real. And the response was amazing. One of the epiphanies I had after reading that section helped me clarify something I haven’t been able to identify for months. I stopped being seen. I went back to almost being invisible, but not quite. Because despite not accomplishing much in many months, people still look to me at times. It’s not as much, and it shouldn’t be. I have not become an asterisk. Even after I haven’t accomplished much with any of my passions in a long time. One might ask why that is. It is the value I bring to the communities I am involved with. This may be selfish, but I don’t want to become an asterisk. I want to be seen and be the example for people. I just realized that I want to strive to be “this is what happened to her, and this is how she rebounded to be even better”. So people realize that you can crash and burn, and come out a bigger badass then before. I look back on when I was really rocking it with all aspects of my life. and what was different. I’ve been thinking about this for a long time trying to pinpoint what was different. I was different. I was bold and daring. Ready and willing to fail forward as often as necessary. And I did, repeatedly. I swam paddling when trying maneuvers; failed in writing, and failed repeatedly and often with my business. Until I got better and achieved the momentum necessary to explode to be seen for the badass I am. It was an incredible feeling of accomplishment and joy. It was something I did it. I showed up. It might not have been pretty and I might have been wet, but I showed up. What happened? A combination of things, and all of them referenced in the Gauntlet if you’d like a more in depth understanding of it. The underlying cause? FEAR. And Self-worth. It was like a 2×4 to the face. As Brene Brown says (I’m paraphrasing), “there is nothing as uncomfortable or heartbreaking than standing outside of your (my) life looking in and wondering how I got to this point?” What happened to the courageous woman who broke through the reinforced concrete barrier of being seen? Life did. I didn’t realize how much I had shrunk back until we were talking about it with one of my best friends today. I still don’t know why the accident caused me to shrink back into self-conscious and low self-worth again, and it’s something I will puzzle out. It’s another piece of the deeper reason behind all of this. The realization took my breath away with all the implications yet to be uncovered. But it is also an epic relief. I can fix this. This is something I can now tackle. I will be vulnerable again with failure and imperfection. Paddling is my outlet for this. THAT is what I was missing all those months. The challenge, the fear, the action, and then the reward. Of doing something that provided me with such passion, clarity, and sense of fulfillment. A phrase I heard used today is perfect. Listen through the fear, and I’m going to go one step further and then act on the fear. This is why paddling is so important to my psyche. It’s the physical manifestation of working through listening through the fear. It’s about setting that challenging and rising to meet it, and therefore increasing my self-confidence in the process. By doing so, you are raising your own bar of expectations to the level of excellence in your life. Since the accident there have been a number of things that have been taking away. It is much more than I initially thought it was. The greatest loss I had, besides the actual car, was my inability to paddle a river. Nature in general is my go to mental reset, and always has been. However, since I found paddling that became my instant happy place. Even going through whitewater, it’s better than any day anywhere else. When the accident happened, I lost my go to mental reset. They were worried about the twisting, and the possible implications of hitting my head on a rock. Which is entirely possible situation because I’ve done it. Today for the first time since March of 2017, I got to paddle my favorite creek. The Tohickon, or as we call it the “Toh”. It’s a 3 mile Class Three paddling difficulty. I had been out paddling maybe four times since the accident on little local runs, and they were wonderful. However, they weren’t whitewater. I was so excited this morning that I was jumping up at down at Presenter’s School this morning. As it actually became time to get on the river, I was getting more and more nervous; I didn’t see my normal crew, but I did find another group to paddle with. They are one of the best communities out there. Shout out to the Philadelphia Canoe club for always been awesome. Apparently paddling whitewater is like riding a bike. Once you have a depth of skill, your muscle memory takes over. I nailed every rapid and every line I wanted to for the most part. The water wasn’t that pushy and it was glorious day. It truly was me stepping back into my true self, and it’s the biggest step I have taken so as I claim my life back. Hours later and I’m still pumped about that run. It was exactly what I deserved, and I’m so glad my PCC crew and Grink were there to encourage. After the first rapid when I hit the tight eddy, I knew I was golden. It feels so right being back in my boat, and finding something else that I lost. Sense of self returning one boat length at a time. The Tohickon Creek release was this past weekend, and it is my favorite creek. It is challenging without being terrifying (most of the time), easily accessible, and a solid class three creek. Yesterday I hit most of my lines that I wanted to, and when I didn’t I was able to avoid the obstacles I didn’t see coming. I even hit my line perfectly at the notorious Second Ledge, which is in my opinion is one of the hardest rapids on the whole river because it’s pretty manky and technically challenging. It is such an amazing feeling when you hit a challenging line just right. This is true in life as well as paddling. You feel like you can conquer anything. The rapid after Second Ledge is called Race Course, which is tied for first and second place in my opinion with Second Ledge in terms of technically challenging. It is also significantly longer than Second Ledge. I was doing really well, hitting the lines, and cutting when I needed to to make the necessary moves. This was until there was an unexpected obstacle in my normal line. A kayaker who had come out of their boat, which is called swimming. It is not usually a favorable situation to be in, and I have swam Race Course. It is not a fun swim. So I dodged the kayaker, and thought I was good to go. However, I did not see the rather large hole in front of me when I turned. Luckily I was going mostly straight, but did not have enough momentum to push through. And in I went. I learned two things, my drysuit is not dry and I deserve to work on my brace this boating season. Life is going throw obstacles at you, and some of them pop up like Whac-a-Mole. Unexpected and random. Three things to do in that moment: identify the problem, set-up a solution, and execute. Sometimes those three things need to happen very quickly, like in a rapid or while driving. Other times, you can take a little time setting those things up. You will either come out victorious or you will come out wet (meaning you failed). Crucial part of this: both of those outcomes are perfectly fine. Feeling on top of the world is the best high ever, and instead of living in that moment build on the momentum. Don’t stop for anything. Failure only becomes a mistake when you fail to learn from it. Meaning if I don’t work on my brace when the weather gets warmer, because I will be getting wet from practicing that, than when I flip next time due to no brace, than that becomes a mistake. Choose your poison and evict the word mistake from your vocabulary. This weekend is Tohickon Creek release. It usually happens the third weekend in March, and the first weekend in November. It is widely considered to be the unofficial start and end of the whitewater season, respectively. It is also my favorite creek of all-time. It is fun, challenging, but not panic-inducing, and relatively short (the run itself is 4 miles, but you can make that four miles take all day because it’s a complex river with lots to dissect). I paddled today in a Shredder, which is like a small raft. These things are so FUN. You can blast through just about anything as long as you keep the it straight. Unfortunately, I did not get to take my canoe out this time. By the time we were done with our run, it was somewhat late in the day, getting colder, so there weren’t too many takers for a second run. It’s okay, it was just so nice to be out on the river. We in the paddling community call this Tohfest, because most of the time it becomes a gigantic party where everyone camps. This year was a bit subdued, mostly because of the ill forecast of 3-5 inches of snow made for Sunday (which has been downgraded to nothing). People come from all over, as far as Virginia, to inundate this little town in Pennsylvania. So, I wouldn’t travel several hours for one day to boat either. Either way, there were plenty of people there to reconnect to, catch up, and revel in the amazing community that we paddlers have created. It’s a special bond, because things happen on the water and we are all there to help each other in those instances. I am grateful to be a part of this community that has given me so much. Spring is about starting anew, and watching everything grow around you. I used to like fall the best out of the all the seasons, but now it’s spring. Mainly it’s about revitalizing your mind and spirit, have a brain reset, and wiping off the winter despondency that afflicts many. There’s more light longer, so you can get outside and play longer (yes I said play). 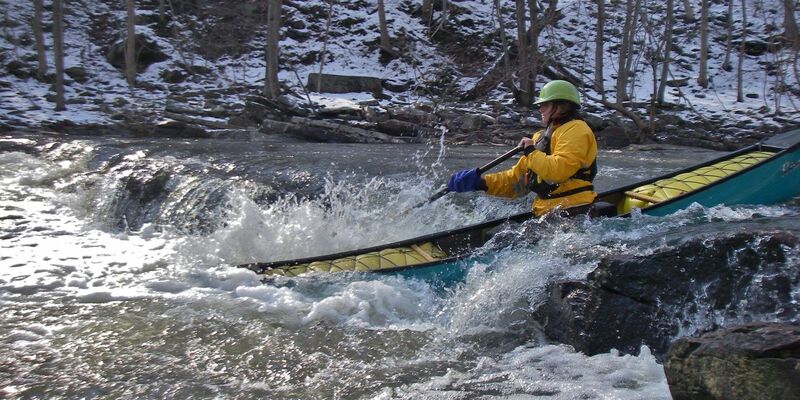 For me, spring is the best time to do whitewater because of all the snow melt. My body and mind felt so perfect and clear after finally being able to get back on the water doing what I love. And pushing myself to the outside my comfort zone, take chances on maneuvers, and revel in the wonder of water, nature, and friends. Threading the needle on a small drop on the Tohickon Creek in Pipersville, PA. Photograph taken by Kevin O’Neill. Spring to me is the brain and body reset, the longer days, and the genuine need for people to feel connected again that makes it such a special time of year of revitalization and vigor. I touched on this a few weeks ago. I have a big personal goal that I am trying to achieve besides some personal events in my life. Tonight I came to the decision that it’s done. I will be an Area Manager in qualification by the end of THIS month. I don’t know how, and honestly, it doesn’t matter. The how comes with the why. And then came the relief. It’s like when I decided to paddle the Tohickon creek, I made a decision to do it. And it was a glorious day. Stolen from the internet. Quote by Maya Angelou. 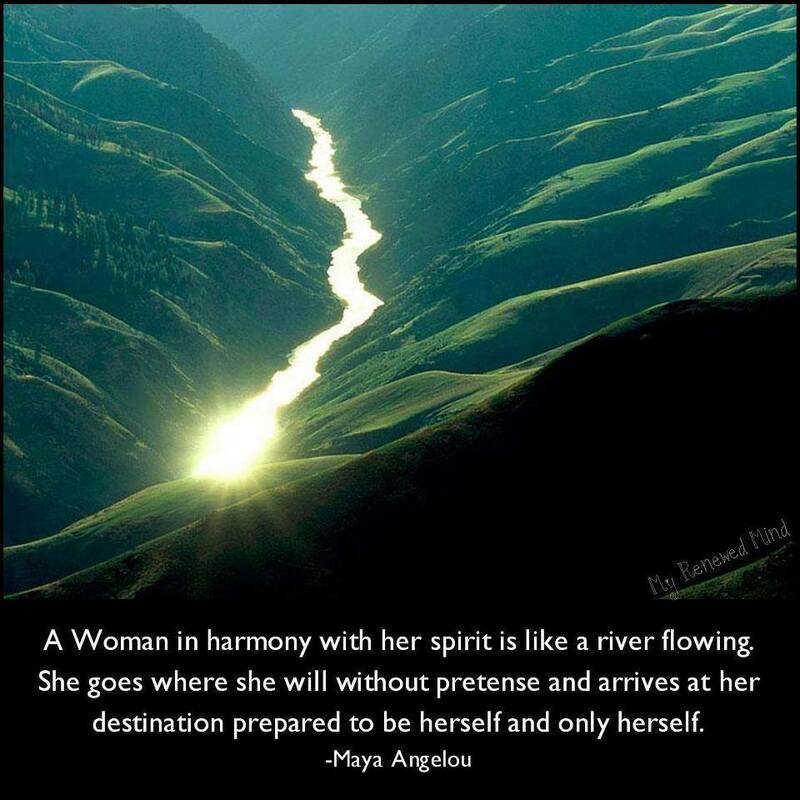 A woman is in harmony with her spirit is like a river flowing. It’s a phrase sometimes batted around, “The Power of Decision.” I’ve heard it plenty of times, and almost been like, “that’s great for you (with no malice or sarcasm intended), but it won’t work like that for me.” Until tonight. I feel it down to my toes and racing through my heart like a wildfire cleaning out a lifetime worth of debris in my soul. All the self-imposed pressure to get it done is gone. Only calm and a sense of burning determination I can’t begin to describe. This is what life is supposed to be like. Strong, powerful, and fun. I have been privileged to be having many amazing and brilliant mentors throughout my lifetime. I have been fortunate enough to have them during every period of my life: high school, college, environmental consulting, paddling, and most recently Arbonne. 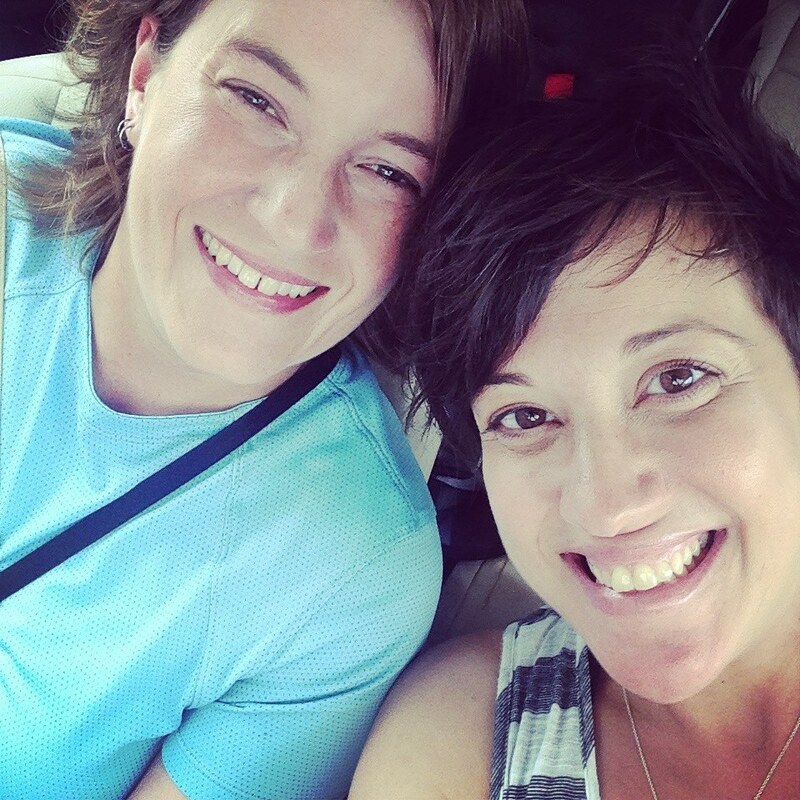 One of my Arbonne mentors, Maria Woodford Spillane, and I travelling to a training. Everyone needs mentors and stable figures in their lives to help guide them through difficult times and decisions, and sometimes the mundane. I have been blessed with an abundance of both since high school. One cannot succeed and expect to get better without guidance and constructive criticism. Some call it tough love; I call it wisdom. All of it is necessary for one to exist and make one better. I am forever in debt to all of the people who have guided me; thank you.